Trust Ranveer Singh to keep surprising his fans. 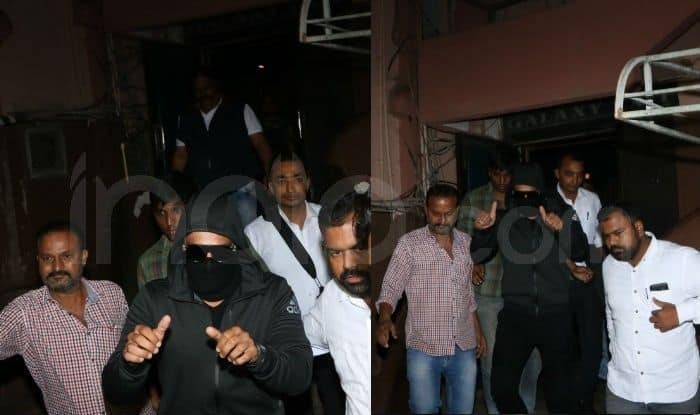 The actor was spotted last night coming out of a film theatre in Mumbai. Ranveer came back with Deepika Padukone after holidaying at an undisclosed location and immediately headed to a theatre where Simmba was being screened. The actor was too-eager-to-watch the audience’s reaction to his latest release and therefore, he didn’t take any rest before the visit. In order to make his visit discreet and gauge the real audience reaction, Ranveer covered his face with a black mask. While Simmba is refusing to slow down at Box Office, Ranveer’s next is geared up for its release. The teaser and posters of the film, titled Gully Boy, have already impressed the audience. The actor will soon start promoting the film with Alia Bhatt. Directed by Zoya Akhtar, Gully Boy is slated to release on February 14 with its trailer coming out on January 9. Meanwhile, the happy pictures of Ranveer and Deepika cannot be ignored. The couple jetted out of Mumbai airport last night and the two were seen walking hand-in-hand. While Deepika wore a basic black tank and a pair of baggy pants, it was a white Guzzi T-shirt below a denim jacket for Ranveer. The couple was all smiling and posing for the paparazzi.